Please, please cease these fleas. You have always used Frontline Plus, but suddenly your dog is covered in fleas. You may be wondering why Frontline Plus is no longer working. There are several reasons why your pooch may have fleas after being treated with Frontline Plus. Fleas are persistent little bugs. Once your pup has fleas, it may take several months to get the problem under control. The adult fleas on your dog are only about 5 percent of the total flea population on him. The other 95 percent are the eggs, larvae and pupae in your dog's environment. While Frontline Plus kills adult fleas on your dog and prevents the development of new fleas, it doesn't have any effect on the eggs, larvae and pupae already present. Those baby fleas will still hatch and develop, dying only once they develop into adults and get on your dog. You can help get rid of these baby fleas by vacuuming and mopping inside and treating your yard with safe products like diatomaceous earth or nontoxic yard sprays. To keep your dog and your family safe, avoid treating your home and yard with harsh, toxic chemicals. If you have been using Frontline Plus for several months, fleas in your environment may have developed an immunity to the active ingredients in Frontline Plus. Veterinarians and pet owners have strong opinions on both sides of the immunity question, but there is enough scientific and anecdotal evidence to suggest that some fleas can develop a resistance to the medications in Frontline Plus, making it less effective than it should be. If you have been using Frontline Plus for a long time and it seems to be less effective than it used to be, try switching to Advantage II or K9 Advantix II. In the middle of the summer, the fleas may just be too bad for a flea medication to keep up. Although Frontline Plus may kill 100 percent of the fleas immediately after you put it on your dog, its effectiveness will diminish throughout the month. If the fleas in your dog's environment are really bad, a few fleas may slip through, especially toward the end of the month. At week three or four, try giving your dog a Capstar pill. This medication is safe to use with Frontline Plus and works like an internal flea bomb. It will kill all of the adult fleas on your dog for a full 24 hours and will help the Frontline Plus continue to work before the time that you can reapply it. Capstar is available at most veterinary clinics and many pet supply stores. Supplementing Frontline Plus with natural flea control methods will help get a flea problem under control faster and safer. One of the best ways to get rid of fleas on your dog is to give him a bath with a safe flea shampoo. If you don't have a flea shampoo, even a bath with regular dog shampoo will get rid of most of the fleas on your dog. If you have just put Frontline Plus on your pooch, though, wait at least 48 hours before giving him a bath. 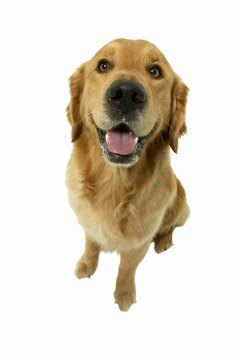 Otherwise, the medication may not have spread throughout your dog's body completely and won't work as well. You can also use natural flea sprays made with essential oils such as peppermint or clove; they're toxic to fleas but safe for pets. You can make your own flea spray at home with rosemary, lavender, apple cider vinegar or lemon. A Vet's Guide to Life: "That Flea Medicine Isn't Working!" What Is the Difference Between Frontline Plus & Advantage for Kittens & Cats? Why Does My Dog Itch All the Time? Can You Catch Fleas from a Feral Cat?